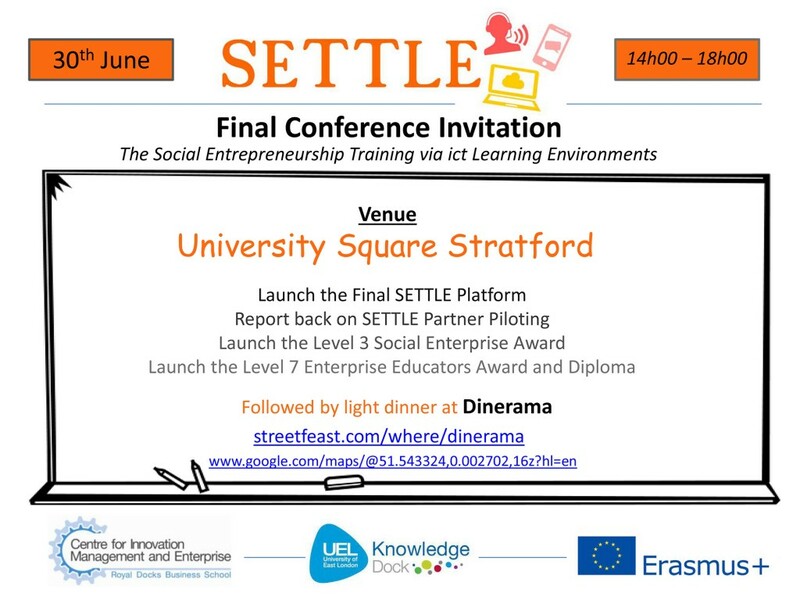 SETTLE is a project which aims to create a learning and training framework to promote social entrepreneurs competences and skills. The project contributes to the European 2020 strategy of smart, sustainable and inclusive growth and development of new skills for new jobs strategy. Together we can do great things! Join us!